Because we work for you! Our proven track record of service within the local community has allowed our company to grow organically. Our team is comprised of Iowa natives, transplants and Fairfield enthusiasts all dedicated to making the Internet accessible and affordable. 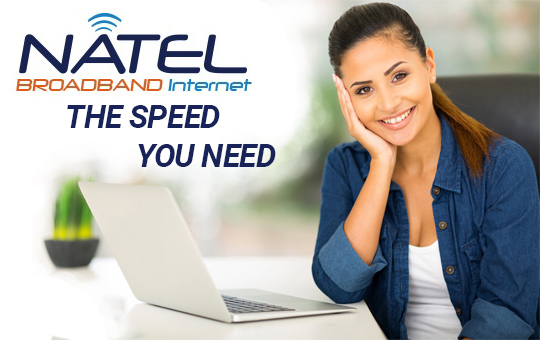 Over fiber or through the air, Natel Broadband is an affordable alternative to the big ISPs. Our services are “a la carte”, so you don’t need to purchase additional services you don’t need. Natel Broadband is currently available in Jefferson County, Iowa and surrounding areas. Call today! Shopping around? Here’s what our happy customers have to say. Calling Fairfield Businesses! Natel offers state of the art fiber optic service that is able to support any of your business needs. Large or small, our customized services can scale with your company. With Natel Fiber Optic Internet, you can just focus on your business – Just ask Shokai Sushi-Fairfieldi! “Living as far out of town as we do it didn’t take long for us to realize that we were limited to the types of internet services available. It seemed like we were stuck with either dial up or satellite service or maybe using some of the data services on our phones. None of these were filling the bill for us. Copyright © Natel. All rights reserved.